It’s Palm Sunday today and I’ve decided to celebrate by making my version of a Millionaire’s Salad. Never heard of it? It’s basically a salad traditionally made with hearts of palm, mushrooms, pimentos, and a red wine vinaigrette. It got it’s name from how expensive hearts of palm are- or were, or are. See, hearts of palm are harvested from the inner core of certain types of palm trees. It used to be that harvesting the wild-single stemmed palms would result in the palm tree dying. An alternative to wild heart of palm are palm varieties which have undergone a process of adaptation to become a domesticated farm species. The peach palm is most widely used for canning as they produce multiple stems (up to 40 per plant), so harvesting does not kill the palm. Still, harvesting hearts of palm is very labor intensive, thus making hearts of palm a delicacy which can still cost a pretty penny in stores. 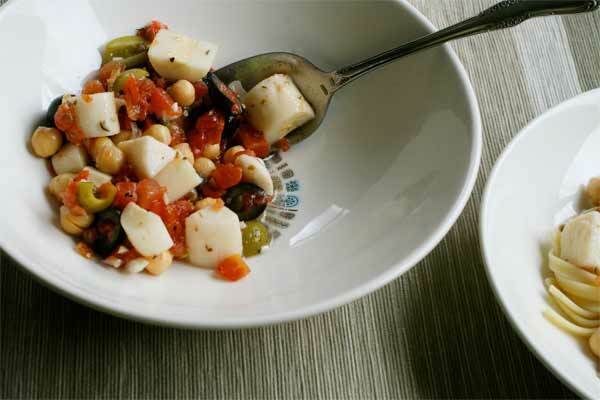 You’ll find hearts of palm canned or jarred in the grocery store- and, less often, fresh. My version of this salad leaves out a few ingredients and adds others, but either way is totally delicious and never lasts long in my house. Please enjoy. Actually, why not enjoy it with a copy of Palm Sunday: An Autobiographical Collage by Kurt Vonnegut? To make the dressing start by using a 2-cup glass measuring cup. Add in the minced garlic and all the spices to the bottom. Add the olive oil. Then pour the red wine vinegar in until the mixture reaches the 2/3 cup mark. Whisk everything together. Set aside. Drain and rinse the tomatoes- let drain completely while preparing the olives. Drain and rinse olives. 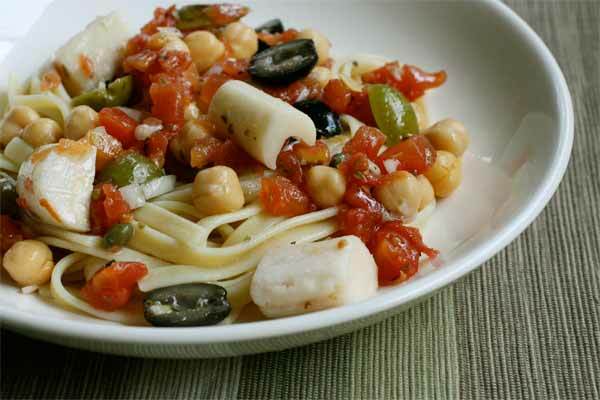 Slice olives in half longwise and place in a large bowl. Drain and rinse garbanzo beans, add to bowl with olives. Drain and rinse hearts of palm carefully (they break easily). If bought whole, slice into bite size pieces- if not, once rinsed add to the large bowl. Add capers to the bowl. Lastly, add diced onion and tomatoes (make sure they’ve drained thoroughly so your dressing doesn’t get watered down) to bowl. Pour dressing over everything and combine gently. Once pasta is done, rinse with cold water and let drain completely. Don’t rush this step otherwise you’ll end up watering down the dressing. Once drained, add to the rest of the ingredients and combine gently. Cover and let sit for an hour (or more ) to let the ingredients develop their flavor. The longer you let it sit, the better the flavor. Traditional Millionaire’s Salads would be made the night before to really develop the flavor, you can do that with this dish as well.